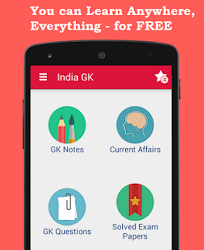 9th January 2016 Current Affairs MCQs, Quiz, Questions: Current Affairs for January 2016, Daily Multiple Choice Questions (MCQs) for India GK, World GK and current affairs with Collection of daily objective type Question by www.Indiagk.net based on General Knowledge (GK) and General Science (GS) Questions for UPSC, State PSC, SSC, Police exam, Railway exam, SBI, Bank PO, IBPC, SSC, LDC, UDC, Army, Airforce, Navy, Coast Guard, Bank Clerk, TET and all entrance examination with current affairs News, Multiple Choice Questions (MCQs) available on Website www.IndiaGK.net and Android Apps with daily updates:. Who wins Brisbane International woman's title 2016 ? Explanation: Former world number one Victoria Azarenka won her first title since 2013 by beating Angelique Kerber in the Brisbane International final. Who inaugurates 43rd New Delhi World Book Fair on 9th January 2016 ? Explanation: Human Resource Minister Smriti Irani on 9th january inaugurated the 43rd edition of the New Delhi World Book Fair which commenced here with China as the guest of honour country and a theme presentation of the cultural heritage of India. The nine-day fair, touted as the largest in Asia, is hosting about 30 countries in which a series of programmes including panel discussions, dramas, classical and folk dances, workshops, discussions, authors’ meets, conferences, seminars and cultural programmes will be held. Who is named ‘Global and Asia-Pacific Central Bank Governor of the Year 2015’ by the ‘Banker’ magazine ? Explanation: The ‘Banker’ is a prestigious monthly magazine of the ‘Financial Times Group’. The magazine selected RBI Governor Raghuram Rajan for ‘Global and Asia-Pacific Central Bank Governor of the Year 2015’ award as announced on 7 January.